Mr. V.P. Nandakumar, MD & CEO, was among the 16 finalists at the prestigious Ernst & Young Entrepreneur of the Year Awards 2017, held in Mumbai on February 15, 2018. Acquisition of Hyderabad-based NBFC, Indian School Finance Company Pvt Ltd (ISFC). Acquired full ownership of Milestone Home Finance Private Limited from Jaypee Hotels Limited. Name changed to Manappuram Home Finance Private Limited. RIB issued key guidelines to bring stability to gold lending business, increases LTV for gold loans to 75%. Adopts a new name, Manappuram Finance Ltd., in place of the earlier name Manappuram General Finance and Leasing Ltd. Declared 1:1 bonus issue for the third time. Assets under Management (AUM) records threefold growth to Rs.7,549 crore.Adopts a new name, Manappuram Finance Ltd., in place of the earlier name Manappuram General Finance and Leasing Ltd. Declared 1:1 bonus issue for the third time. Stock split: Equity share of face value of Rs.10/- split into 5 shares of face value of Rs.2/- each. Declared 1:1 bonus issue for second time.Total business volumes crossed Rs.5,000 crore Raised Rs.245 crore through the QIP route. Opens its 1001st Branch at Thrissur town Superstars Mohanlal, Vikram, Venkatesh, Puneeth Rajkumar and Akshay Kumar among others becomes Manappuram’s brand ambassadors. Raised additional capital of Rs.1,000 crore from FIIs (through QIP.Stock split: Equity share of face value of Rs.10/- split into 5 shares of face value of Rs.2/- each. Manappuram Foundation established at Valapad in order to further the CSR mission of the Manappuram Group. The first initiative of the Foundation is “Janaraksha Manappuram Soujanya Arogya Insurance Scheme” providing free health insurance to 20,000 BPL families (covering over one lakh beneficiaries) in the seven panchayats of Nattika assembly constituency. First NBFC in Kerala to receive foreign institutional investment with Sequoia Capital and Hudson Equity Holdings investing Rs.70 crore. Singapore government-owned investment fund Fullerton India/Temasek enters the picture with initial sanction of a credit limit of Rs.50 crore to MFL. Within a year, the limits are enhanced to Rs.475 crore. Attracted institutional funding for the first time, when ICICI Bank sanctioned working capital facility of Rs.25 crores under a ‘bilateral assignment’ model. Hitherto, MFL had been largely dependent on deposits from the public. Commences foreign exchange business with moneychanger’s licence from the RBI. [Later, in 2007, it becomes first NBFC from Kerala to receive AD - II (Authorised Dealer - II) Licence from RBI]. The registered office is shifted to Valapad, Kerala. Becomes the first NBFC in Kerala to be given a Certificate of Registration by the RBI. A major policy change sees MFL shifting its focus to gold loans. Becomes the first NBFC in Kerala to be given a Certificate of Registration by the RBI.A major policy change sees MFL shifting its focus to gold loans. First NBFC in Kerala permitted by the RBI to accept deposits from the public without restrictions on the limit. The Company is also permitted to set its own interest rates. First NBFC from Kerala to go for a credit rating exercise. ICRA assigns rating of MA to its fixed deposit programme. 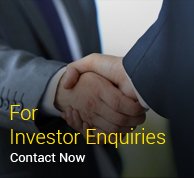 Approaches the capital market with its first Public Issue of shares for Rs.1.75 crore. The shares are listed on the Bombay, Madras and Cochin stock exchanges. First NBFC from Kerala to go for a credit rating exercise. ICRA assigns rating of MA to its fixed deposit programme.Approaches the capital market with its first Public Issue of shares for Rs.1.75 crore. The shares are listed on the Bombay, Madras and Cochin stock exchanges. Paid maiden dividend in the very first full year of operations (1994) and has maintained a track record of uninterrupted dividend payouts thereafter. Manappuram Finance Limited (MFL) was incorporated with registered office at Thrissur to conduct the business of financial services, especially leasing and hire purchase. Shri V.C. Padmanabhan passes away on june 13, 1986. His son Shri V.P. Nandakumar, then placed as an officer with Nedungadi Bank, taken over the reins of the business. Shri V.C. Padmanabhan, a visionary of his time, establishes Manappuram Finance at Valapad, a coastal village 25 kilometres away from Thrissur town. 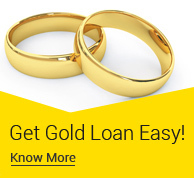 The main activity of the firm is money lending and gold loans. Over the years, the business flourishes and it acquires a reputation as a safe haven for the savings of the local people, offering good returns and total safety.